Today is Day 14 of 40. “We did it” he exhaled. “Did what?” you might ask. We made it through another long day. Today was going to be a beautiful, sweet and relaxing day for our family. Robert was going to get some extra work done. I was going to have alone time in the house with just the baby and myself, after attending “Muffins with Mom” at Shyloh’s preschool. To spare you the details, what did happen was I got ready for the day… hair, make up, skirt, great attitude… And in a matter of 30 minutes Shyloh, Benjamin and I were at home binge watching Netflix’s newest Kids collections while Shyloh sat upon beach towels covering the sofa, and a plastic bag in a trash can beside her. Yes, you guessed it…. 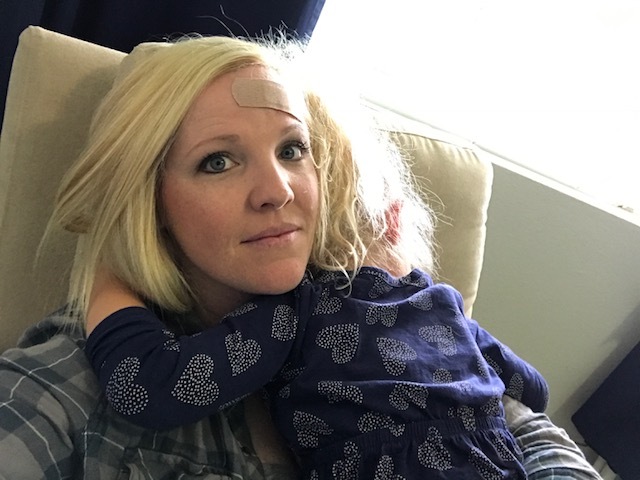 These sick bugs have zapped the life out of this mama of 3 littles trying to be strong! It actually wasn’t too miserable today as Shyloh started to perk up now and again and no more episodes occurred. Don’t know what this bug is, was, or could be but we seem to be all fine and dandy tonight. All that to say, here is where the rubber meets the road. I sat staring at the wall and my iPhone for a good amount of the day. Paralyzed in a coma-like tired state. See… it just happened again. 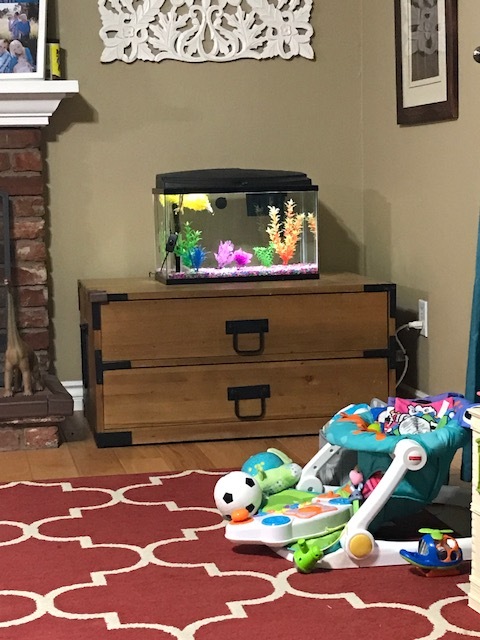 I started staring at my fish tank and realized that we have only three of our four fish in there. I’ll take a pic right now and show you. I’ll get up later and figure out where the other sucker (literally, it’s a sucky fish) went. You’ve had those days too? In the Bible in the book of Exodus, we saw the Israelites journey through the wilderness on their way to their Promised Land of Canaan (ya know, their beach front properties), they cried out to go BACK to slavery because it was easier than making changes, easier than taking the journey. I always read that and wondered how they could ever want to escape the process like that… seemingly so easily….how could they? Why would they? Yet tonight. I get it. I want to escape it too right now. You been there before? I read my verse. It didn’t fill me up too much but I did it. 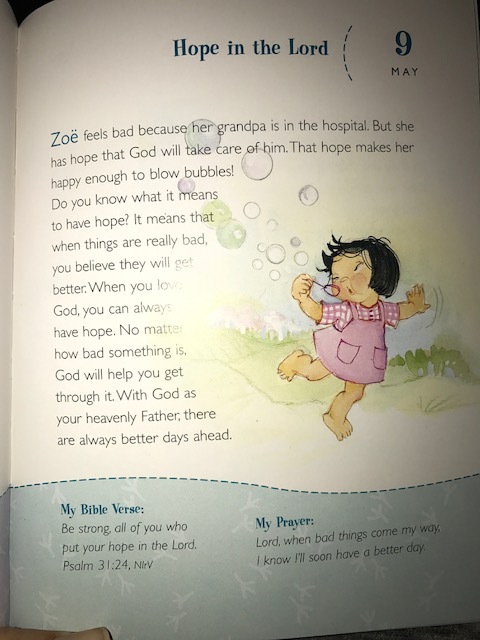 Then tonight while tucking the girls into bed, I read Shyloh’s preschool devotional and found some hope. Literally, that’s what this devotional was all about. Hope that makes you want to go out and blow bubbles. That spoke to me. God speaks to us in the most simple yet profound ways huh? Here are a few pics from today. I did get a few things accomplished. I rested for about 20 minutes. 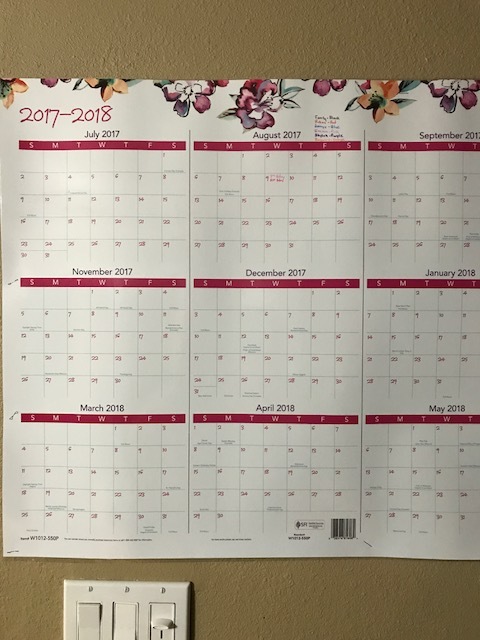 I started a new calendar for our family (yes, that’s because I can’t keep it all in my head and the newest, greatest, latest tech tools just don’t cut it for this old school mama! I like to see it and touch it… aka, a dry erase annual calendar!). I cuddled with Shyloh, a lot. Missing Muffins with Mom made for a little sad heart. 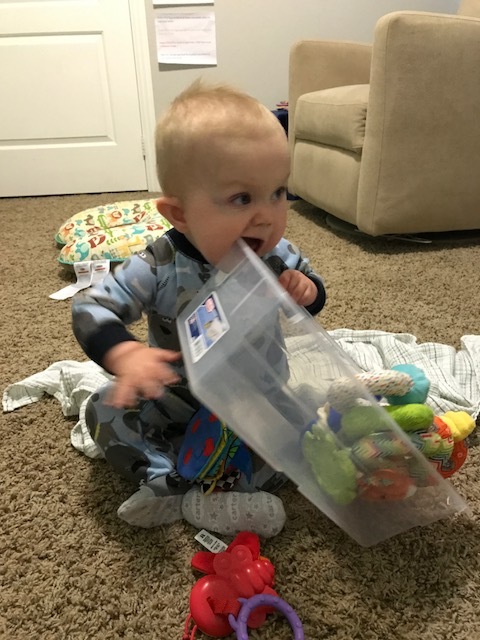 I watched Benjamin opt for the toy box instead of the toys. I guess what seems like a non-productive day for me actually was productive. Maybe that’s why it’s important to write down our journey. Maybe we get to see from a different perspective? I have a plan. 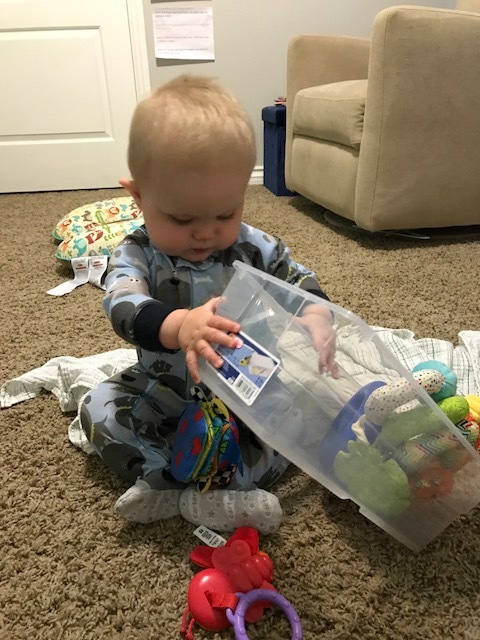 When plan A, B, C, and ……. W don’t work. Go to Plan X! We might be onto Plan X. But if you’re still carb cycling or following your plan then BRAVO!!!! You amaze me!!!! I’m just being real, honest, and obviously vulnerable with you here. Onward into Day 15 friends! We did it… another day, right? !